Essential Oils are an oil-based compound that comes from natural plants. The natural smells and flavors of the plant are the essence of the oils. Essence oils have medicinal characteristics. The skin can easily absorb the chemicals in the oils. Adding essential oils to a massage helps to deepen the relaxation experience. This is because smells stimulate the limbic system in the brain. This is the part of the brain that controls the emotions. Therefore, we can increase the relaxation experience of both the mind and body with essential oils. 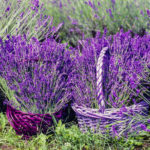 What to expect in an Essential Oils session? We add Essential Oils to a normal massage therapy session. Therefore, the client should expect to experience the aromatic pleasures of the scents in the massage room as well as the experience of deeper relaxation. In an aromatic session, we add five essential oils to a relaxing massage.